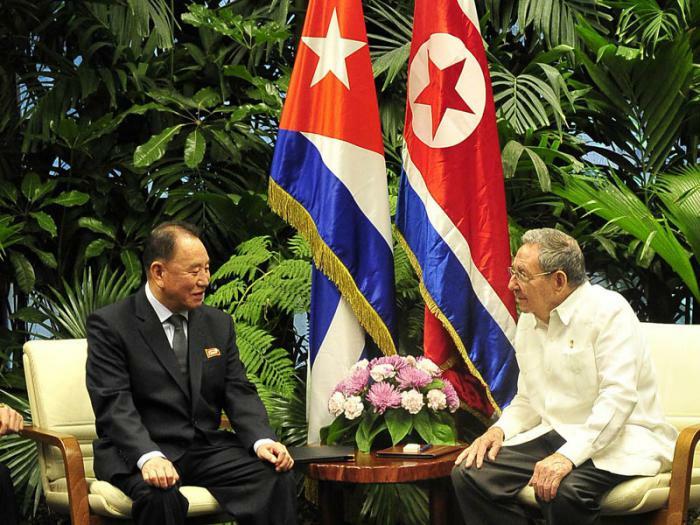 Why is Kim Yong Chol still Pyongyang’s Choice for U.S.-DPRK relations? Kim Yong-Chol is on his way to Washington. 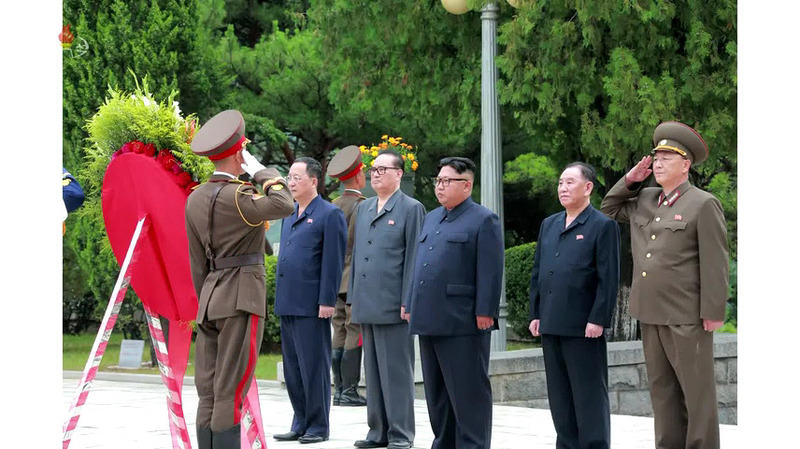 Ever since North Korea’s shift to diplomatic rapprochement with South Korea and the United States in 2018, Kim Yong-chol has been one of the primary officials to represent Pyongyang. He will be meeting with Secretary of State Pompeo and possibly President Trump. He is to proffer Kim Jong-un’s official invitation to Trump for a second summit. This will be Kim’s second trip to D.C. in under a year. Kim visited the United States ahead of the first U.S.-DPRK summit in May 2018 and had lead roles in both Secretary Pompeo’s earlier trips to Pyongyang in July and October in 2018. Tolerated at first, there is a strong consensus in the United States that Kim Yong-chol’s continued role in U.S.-DPRK relations is counterproductive. His U.S. trip resulted in getting the first summit back on after a brief cancellation, but his handling of U.S.-DPRK relations has been inconsistent. His July meeting with Pompeo did not go well and Pompeo’s October trip was salvaged because Pompeo was able to meet with Kim Jong-un directly. 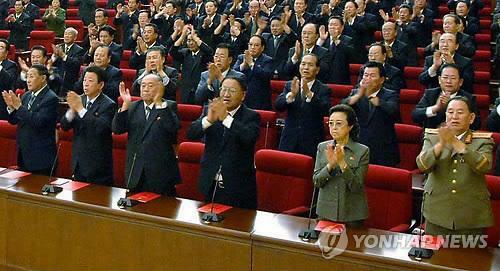 During that round of meetings, Kim Yong-chol only attended the introductions and the post-meeting dinner. 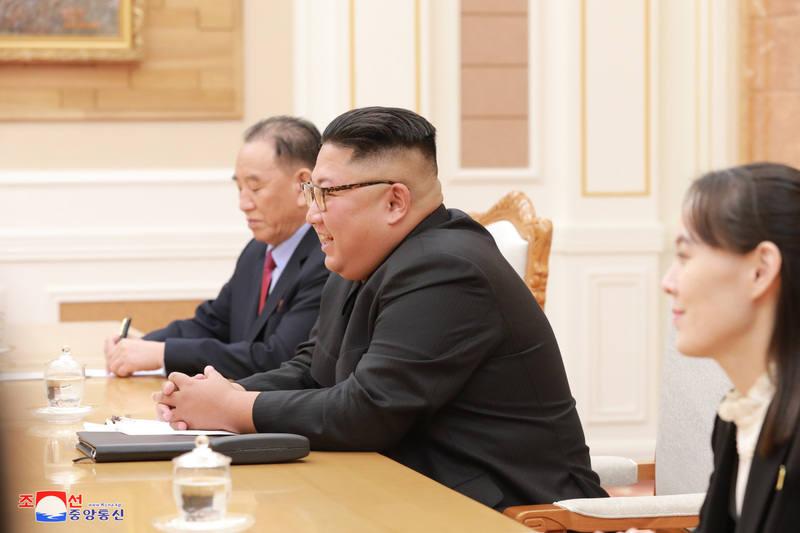 Kim Yo-jong acted as Kim Jong-un’s deputy for the substantive meeting with Pompeo. At that meeting, Kim Jong-un reportedly apologized to Pompeo for not having met him in July. Combined with Kim’s exclusion from the substantive parts of the engagement, Kim Jong-un may be admonishing his “right hand man” and contemplating a change of representative. The United States would certainly much rather deal with a different North Korean at this point. The inclusion of Kim in U.S.-DPRK relations has always been a somewhat polarizing choice. He is the director of the United Front Department (UFD), which is the department of the Central Committee of the Worker’s Party of Korea that handles policy and relations with South Korea (and to an extent, China), though previous UFD directors have waded into North Korea’s U.S. policy. He has a long history of participating in inter-Korean military negotiations, but he is not a trained diplomat and there are other, much more seasoned diplomatic professionals in North Korea’s leadership circles, such as Director of the International Affairs Department Ri Su-yong, Foreign Minister Ri Yong-ho, and Vice Foreign Minister Choe Son-hui, that would be appropriate and perhaps more amenable to the United States. In addition to his credentials, Kim Yong-chol has long been a controversial character. He is the notorious North Korean “spy master” – a reputation that he seems to embrace. His former role as head of the Reconnaissance General Bureau (RGB) links him to planning and execution of the deadly attack on the ROKS Cheonan in 2010, the 2014 Sony cyber hack, and to North Korea’s cyber capabilities, which have stolen millions of dollars from global financial institutions and harassed the ROK government. He is on sanctions lists in both the United States and South Korea. And yet, Kim Yong-chol is on his way. Why is Kim Yong-chol still taking a prominent role in engaging with the United States? What purpose does Kim Jong-un have for continuing to include Kim Yong-chol in sensitive negotiations, especially since his presence may antagonize rather than not? The simple answer is that Kim Jong-un still sees value in putting him forward to carry his message to the United States. It is important to understand what Kim Yong-chol does for Kim Jong-un. Kim Yong-chol’s rank in leadership circles and proximity to Kim Jong-un clearly give him some leeway for diplomatic missteps. 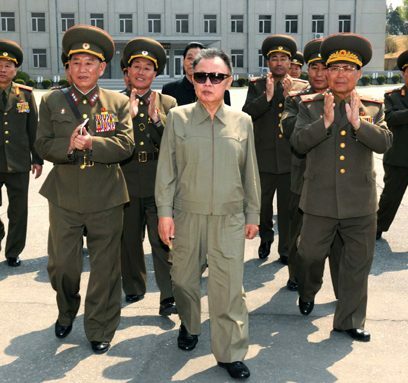 Kim Yong-chol’s links to the Kim family go back several decades to when he served as a bodyguard for the Kim family. Kim Yong-chol’s ascent in North Korea’s leadership echelons has been closely tied to Kim Jong-un’s consolidation of power. His personal ties to Kim Jong-un go back to the early 2000s, when he oversaw Kim Jong-un’s military education at Kim Il-sung University.1 The Cheonan attack and Kim Jong-un’s association with the RGB were tied to securing military support for Kim’s succession of his father. He has risen to the status of full-member of the Political Bureau of the Worker’s Party (Politburo) and the Central Military Commission, as well as a member of the State Affairs Commission, the North Korean government’s supreme power and policymaking organization formed by Kim Jong-un in 2016. He has been a consistent presence in Kim’s inner circle of interlocutors who have direct access to Kim Jong-un and have the ability to contribute to his decision-making. In foreign relations, Kim Yong-chol is a clear embodiment of North Korea’s hardline, his presence and his demeanor are stark reminders of the not-so distant unpleasant state of relations with North Korea and of the actions North Korea can take to disrupt regional and international security. Kim Jong-un has used Kim Yong-chol’s reputation to underscore his diplomatic messaging to unambiguous effect. 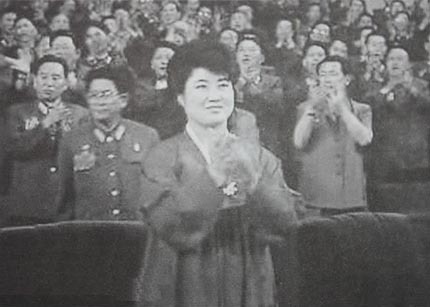 In inter-Korean relations, Kim Yong-chol is often “paired” with Kim Yo-jong. At the 2018 Olympics, Kim Yo-jong attended the opening ceremonies and was charming and interacted comfortably with South Korean officials. 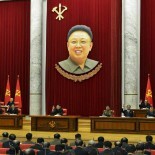 By contrast, Kim Yong-chol attended the closing ceremonies and introduced himself to journalists saying, “Hi. I’m the man you blame for sinking the Cheonan.” At subsequent inter-Korean summits, Kim Jong-un has sat with Kim Yo-jong to one side of him, and Kim Yong-chol on the other. The juxtaposition represents his South Korean counterparts’ choice: we can do this the easy way, or the hard way. Kim Jong-un is using the same signaling approach in his engagement with the United States. By using Kim Yong-chol, particularly in the early stages of U.S.-DPRK engagement, Kim Jong-un was indicating to the United States that while North Korea was willing to take a softer approach and negotiate, it still would be willing to show its teeth. Kim Jong Un stands in front of monument at the Chinese People’s Volunteers Cemetery in Hoech’ang, South P’yo’ngan. Also in attendance are Ri Yong Ho, Ri Su Yong, Kim Yong Chol and Gen. No Kwang Chol (Photo: KCTV/KCNA). But Kim also fills an important internal requirement for Kim Jong-un. Any agreement or action that Kim Jong-un makes with regard to the United States will need to be marketed and sold to Pyongyang’s political elite, which includes Party cadres, state officials and, most importantly, military officials. The Foreign Ministry and North Korea’s diplomats do little to appeal to this latter constituency. Though he is no longer in uniform, Kim Yong-chol still represents the KPA and is one of the few “North Korean Generals” to continue play a prominent role at the highest levels of policy after the demotion of Hwang Pyong-so. Furthermore, with the KPA taking on a diminished public role from 2018 until the present, both for internal elite politicking and to compensate for this, Kim Jong-un needs Kim Yong-chol to help sell his policies to internal constituencies. This trip to Washington will be telling. If Kim Yong-chol is acting only as a messenger, combined with his exclusion from the October 2018 meeting between Kim Jong-un and Secretary Pompeo, it may indicate Kim Jong-un may be beginning to lay the groundwork for shifting Kim Yong-chol away from U.S.-DPRK relations. Kim is apparently joined in his trip to D.C. by Kim Song-hye and Choe Kang-il, both career diplomats. Kim Song-hye, in particular, is seen as a chief strategist within the UFD and potentially the one Kim Jong-un really trusts to get U.S.-DPRK relations back on track. If this is accurate, someone like Ri Su-yong and Ri Yong-ho, with more obvious diplomatic credentials, may begin to play more of a role in U.S.-DPRK relations, possibly after the second summit. But the United States should not interpret the replacement of Kim Yong-chol as a move to appeal to U.S. preferences. If Kim makes this choice, it will be because Kim Jong-un’s calculus will have changed and the internal situation in his regime has shifted such that he no longer needs to balance his softer approach with a man like Kim Yong-chol. This article was written on 18 Jan 2019, and is filled under Uncategorized.